Our team of practitioners strive for excellence in quality care and to view your needs and expectations through your eyes and not our own. Victorian Lymphoedema Practice bases their treatment program on evidence-based treatment. All practitioners stay up to date with current evidence and treatment techniques by regularly attending conferences and workshops both nationally and internationally.Victorian Lymphoedema Practice delivers a team approach that includes the client as well as associated medical and allied health professionals. Maree has worked in both the private and public sectors and established the first comprehensive lymphoedema clinic at the Mercy Hospital for Women in 1994. Whilst she was there she assisted in establishing the Lymphoedema Compression Garment Fund. Her involvement in lymphoedema has not only been from a clinical perspective. She was part of the steering committee that established the Australasian Lymphology Association (ALA) and was their first president. At a state level Maree has a close association with the Lymphoedema Practitioners Group of Victoria and served on their committee for many years as well as serving as president. Maree has served on the Lymphoedema Association of Victoria’s committee off and on over the past 20 years. Maree has also been on numerous committees and working parties in relation to lymphoedema both at a state and federal level. She is past chairperson of the ALA National Lymphoedema Practitioners Register Committee of Management and co chair of the Education Committee of the International Lymphoedema Framework. Maree has established Lymphoedema Education Solutions (LES) which delivers lymphoedema courses for health professionals. There are close to 800 health professionals that receive monthly information from LES. She enjoys teaching and making it an authentic learning experience as well as speaking at health professional and public seminars. 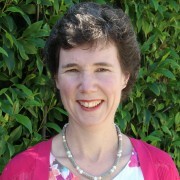 She is the co author of the Lymphoedema Handbook. 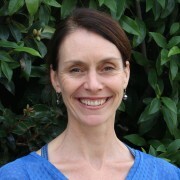 Sarah Harmon is a physiotherapist with over 20 years of experience in the area of oncology and lymphoedema. Having completed her Level 1 and 2 lymphoedema training in Victoria, her service covers all aspects of lymphoedema management, from lymphoedema education/awareness to full ‘complex physical therapy’. Before working privately, she worked at the two major Victorian lymphoedema clinics - Mercy Hospital For Women and Southern Health Lymphoedema Service at Monash Medical Centre. She is a member of the Australasian Lymphology Association, and regularly attends ongoing education, as well as tutoring for new practitioners at courses conducted by "Lymphoedema Education Solutions". She enjoys working in a setting that provides the best assessment in early detection and up to date management options. Her passion is to see people achieve their best functionally and enjoys supporting them through this process. Jodie Rundell has over 10 years’ experience working with lymphoedema clients, primarily in the area of oncology related lymphoedema. Much of her work has focused on lymphoedema treatment as well as prevention in post-operative breast cancer patients through increased patient awareness/education of lymphoedema and early detection. Her special interest lies in the management of breast lymphoedema. She has also dealt extensively with other common post-operative conditions such as shoulder dysfunction, lymphatic cording and scar tissue management following breast cancer surgery. 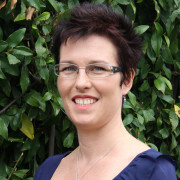 Michelle Pardy has over 20 years experience in Physiotherapy. She has experience and knowledge in the areas of Neurology, Women’s Health, Muskuloskeletal physiotherapy, Lymphoedema and Oncology. Michelle is also a trained yoga teacher and has a special interest in Oncology Rehabilitation. She provides exercise classes with a wholistic approach to physical and emotional wellbeing throughout and following cancer treatment. Michelle is committed to providing effective and up to date quality care for her patients. 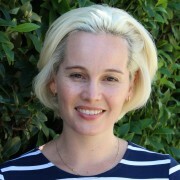 She participates in regular professional development courses and seminars and is a full member of the Australian Phyisotherapy Association and Australasian Lymphology Association. Helen qualified as a physiotherapist in England in 1996. She specialised in oncology and lymphoedema in 1998 before moving to Australia in 2004. Helen was unit manager and lead clinician at the Monash Health Lymphoedema and Breast Cancer Physiotherapy Unit for 11 years. At Monash Health Helen worked at Advanced Practice level undertaking clinical duties that were previously provided by medical staff. With lymphoedema training at Masters level and a holder of a Diploma of Orthopaedic Medicine, Helen combines her musculoskeletal skills and oncology and lymphoedema training to provide comprehensive assessment and treatment with the best possible outcomes for her patients. Helen also holds a Counselling certificate and incorporates counselling skills and motivational techniques where appropriate. Helen has undertaken numerous Breast Cancer physiotherapy courses,soft tissue / fascial release courses and manual lymphatic drainage massage training in the Vodder and Foldi and fluoroscopy guided fill and flush methods. Helen is passionate about providing evidence based practice for clients, keeping updated with the latest research in lymphoedema and lipoedema through regular attendance at international conferences. Her current research interests are formulating best practice for therapy pre and post liposuction for lymphoedema and lipoedema, and examining the effect of diet and nutrition on the lymphatic system. Helen is an active member of the ALA is past chair of The NLPR and past vice president of LPEGV. She has worked on Department of Health projects to improve treatment for lymphoedema patients in Victoria. 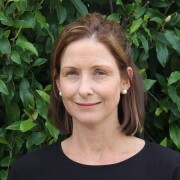 Helen has presented internationally on various oncology physiotherapy and lymphoedema subjects at the 22nd International Congress of Lymphology 2009, 2010 British Lymphology Society Conference, and the 2010 and 2014 Australasian Lymphology Association Conferences. She is an invited speaker at the 2018 lipoedema Australia conference. She is a regular speaker at the Australian Physiotherapy Association and BreaCan regarding physiotherapy and lymphoedema management. She teaches and examines on the LES courses.